If you are on the fence about this cartridge watch the video. I love the party set she made with it. So many possibilities. 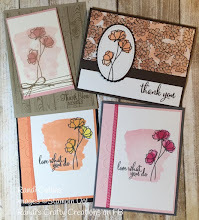 Remember it is National Stamping Month and for a $35 purchase you can get the NSM stamp set for $5. See my left side bar for more info or email me I am happy to help!